But you're ready to take back that last one. hahaha. Will be interesting to see these come out, and see what lives up to expectations, what crashes and burns. I haven't seen anything from Wim since Until The End of the World, which didn't do a whole lot for me. (In fact, I can't bemember it clearly.) Has he been making films steadily? As for Wim - I'm not sure but what else he's been up to recently but I loved Wings of Desire so much I try to see all of his films, but I'm not always able to. I loved Wings of Desire the first time I saw it - thought it was one of the greatest films I'd ever seen. Saw it again a few years later and couldn't for the life of me figure out what I'd liked about it the first time around. Saw his Until The End of the World when it came out - between my screenings of Wings of Desire - and thought it was a mess. An interesting mess, but a mess. Also saw it a second in 1999 and thought it was great, better than the first time around, even given that none of its "predictions" had come true. Go figure! My most anticipated film is the rumored Dusty Springfield biopic starring Charliez Theron that Ang Lee is supposedly going to direct. Here's hoping they can get Jake Gyllenhaal to play her (gay) brother Tom. This one sounds like it will be good. Do you know if anyone is cast already? I read the book and it really is great...I just hope against hope it does not have Brad Pitt in it. The contrast was so remarkable, but I think once you've experienced that once, a second time would not do so much for you. That should have been BET, not but. Sorry. "But" would have been pretty presumptuous. Last I heard--which was Dec--no cast. 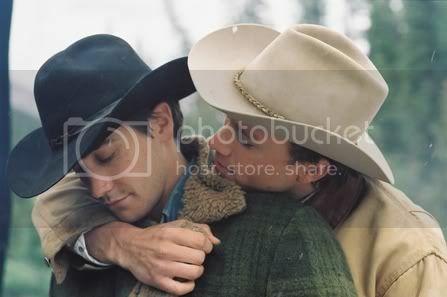 The author had a note on her website shortly after brokeback came out responding to all the sudden attention her book was getting--and the sadness from some who had been hoping for years that hers would be the first Big Gay Movie in America. She said she was glad to see bbm doing so well. and that the problem with hers for a long time had been that by nature, it would be expensive to do right, and no one would sink a lot of money into a gay film. but maybe that will change. Capote - Like Philip Seymour Hoffman and would like to be impressed by his performance again. Excellent review from Metacritic. "Da Vinci Code", hope it rocks! Won't it be nice to get past the film dreg months of Jan/Feb, when the studios quit dumping their worst crap, and there actually ARE anticipated films entering theaters again. When is the first good one due? I am looking forward to "V for Vendetta"! And it's coming out in March 17th. Stephen Fry is in it. It's showing now at the Roxie in town - I'll probably go see it on Wed.
And no, I'm not affiliated with it - just interested. Isn't that also the Wachowski Brothers, their first since the Matrix sequels? But what's with the awful title? Unfortunately, the chart doesn't list director, but it does include actors, if they are famous enough. then if you click on the bottom right, you can get more of april, and on month to month. A comedy called American Dreamz with Dennis Quaid, Willem Dafoe, Hugh Grant. hmmm. maybe. or maybe horribly not. Down in the Valley from ThinkFilm starring Edward Norton & Evan Rachel Wood -- I love both of them. good pedigree. and i know that name. what is it? oh, and Strangers With Candy, finally has a release date, June 28. And a documentary on Leonard Cohen, "I'm Your Man." Nice. "The Libertine," starring Johnny Depp and John Malkovich, is FINALLY getting wide release on March 10. Reviews have been mixed, but I ignore most reviews anyway. I'll go see any movie at least once if Johnny Depp is in it.